This month I'm working on the Angel of the Waning Moon. 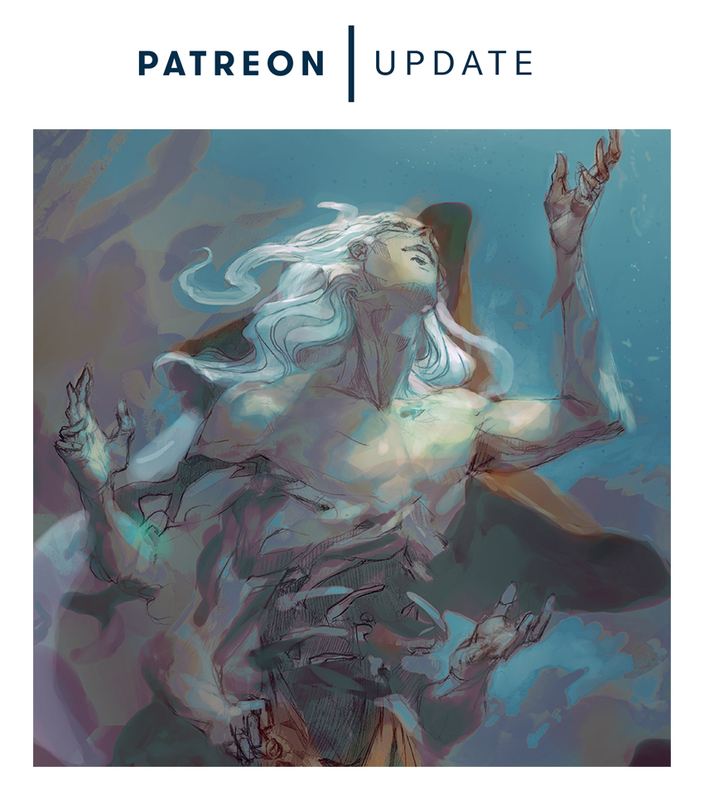 I think of Sariel as being someone who is constantly looking to the sky. I wanted to parallel that to my own fascination with the planets and stars. 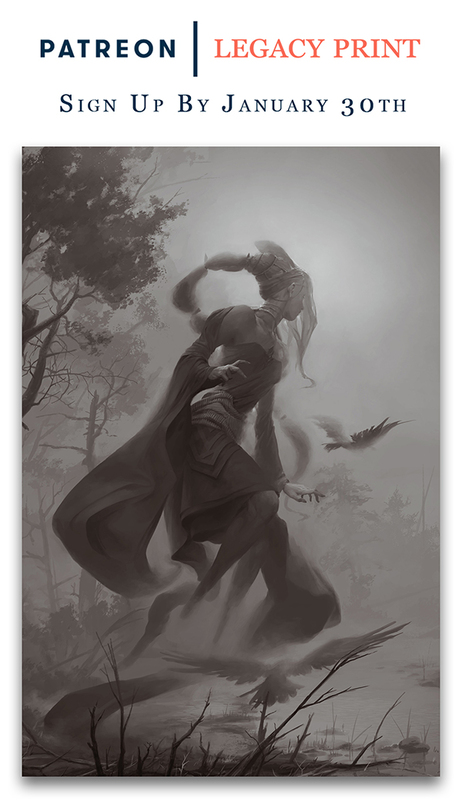 For January, we're offering Chazaqiel, Angel of Mists. Sign up before January 30th and you’ll receive a copy of this print in the mail!